If it seems as though there are more prepaid debit cards and co-branded card offers on the market, it’s because there are; between them and the prepaid debit cards, it’s clear to see where the trends are pointing. Both have proven beneficial to consumers who have a need for both of the brands that represent the credit card and of course, that means it’s profitable for the brands. The prepaid products have consistently proven a solid alternative for traditional checking accounts. What’s really great for consumers is the versatility in both the availability of the different offers and the perks and benefits found in them. Keep reading as we take a closer look at a few of the stronger co branded and/or prepaid credit card offers being made available to consumers this year. Remember – not all credit card and debit card offers are created equal – choose wisely the first time to save time and frustration. Wal Mart and American Express might seem like an unlikely pair, but the two global brands came together to offer a prepaid co branded debit card for consumers. This isn’t the first prepaid offer from either company, though Bluebird is arguably the strongest of the offers. It was introduced as an option for lower income consumers and those who are unbanked. Bluebird can be used anywhere American Express is accepted. It works exactly like a traditional debit card, except that it’s not linked to a checking account. This prepaid product comes with no monthly usage fees, no fees for overdraft (if funds aren’t available, the transaction is declined), no annual fees and no minimum balance considerations. Card members may have ATM fees, though it will be determined by the ATM owner. Members can enroll in direct deposit and they can easily add cash to their BlueBird at Wall Mart and other retailers. Transfer money with the nifty smartphone app and because it touts the American Express logo, card members will enjoy the same benefits traditional Amex customers have. It has really become a strong options and frankly, banks are wondering what they can do to remain relevant and to keep their quickly dwindling numbers of customers. Remember the brouhaha from two years ago, when hundreds of thousands abandoned their banks for credit unions? Banks are still scrambling and the new financial regulations are definitely a thorn in their collective side. The other two prepaid products from Wal Mart and American Express are Green Dot and American Express Serve. Neither of these two financial products are co-branded with one another, but both are strong contenders in the prepaid market. Green Dot has already carved its place in the market and while Serve is new, it too is proving to be a formidable opponent in this sector. One reason is the technology that it incorporates. The smartphone app is one of the best we’ve seen recently and the platform is designed for ease of use. Card holders can easily download coupons and the safety features are remarkable too. This U.S. Bank Visa comes with a lot of great perks. For those who appreciate the beauty of these famous bikes, it’s the ideal complement in their wallets. Rewards points can be used to buy apparel, Harley Davidson accessories and parts, service for their bikes and even cash certificates. 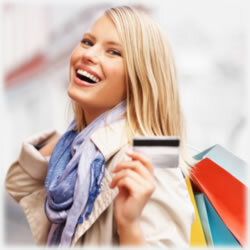 Each purchase made on this co branded credit card earns points. If there’s any downside to this US Bank Visa, it’s that the rewards can be redeemed only on Harley Davidson merchandise or services associated with the brand. For those who are loyal to the company, though, they’re discovering it’s a great way to reach their goal of owning their own bike – your rewards points can be applied toward that purchase. In fact, the rewards points can be applied to Harley Davidson rentals, as well. A few of the other perks include a $10 cash certificate after you open your account, 3 points for every $1 spent at Harley Davidson dealerships, 2 points for every dollar spent at gas stations, restaurants, bars and hotels and one point for every dollar spent anywhere else. There are no limits to how much you can earn and every month you use your U.S. Bank Harley Davidson Visa, you’re automatically entered to win a Harley Davidson motorcycle. This happens every month. You’ll enjoy the absence of annual fees and no preset spending limits and there are a host of travel benefits attached to this credit card offer. From rental collision damage waivers to emergency card replacement and other conveniences that you don’t appreciate until you’re on the road and need help. Make it your own with personalization of your Visa. Good credit gets you approved. Before you move forward with any prepaid debit cards, you should know that the market isn’t as heavily regulated as the traditional credit cards are. But that’s not necessarily a bad thing an din fact, it can be good for those who are having difficulties securing traditional checking accounts. The new laws fall just short of putting heavy rules in place, that means there are predators lurking who are more than happy to separate you from your money. Our customers tell us that they’re tired of navigating a complex maze of do’s and don’ts to avoid the ever-growing list of fees found on checking products. That’s a growing sentiment, too. And here’s a note about hotel co-branded cards – choose the credit card that partners with a hotel chain you and your family actually would stay. Too many times, consumers choose cards that have high-end hotel chains attached to the offers. The idea is that they can earn points to offset the expenses from the higher costs associated with finer accommodations; unfortunately, in order to earn the most points, you actually have to stay in the hotels as you’re earning points. In other words, if you’re not willing to shell out big bucks for a hotel room, it’s going to be a slow go as you attempt to earn enough for a single night’s stay. Remember too that prepaid debit cards are quickly becoming a preferred financial product for millions of Americans. This means that the market will expand and unfortunately, not all of the offers are going to be in the best interest of the consumer. Complete your due diligence, pay attention to the terms and conditions and ensure you understand the fee structures. If you don’t, you could end up paying far more than you anticipated. That said, if a prepaid card doesn’t pan out, the good news is that you’re not bound by contracts, which means you can simply choose another prepaid card. Save yourself the frustration, though and choose wisely.